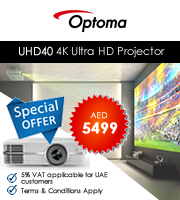 Cannot decide where to buy projector, Saudi Arabia? 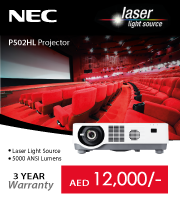 Projector Square is a reputed store that sells top-grade quality projector units in Saudi Arabia at an economical price. We have made our presence felt in the market as one of the reliable suppliers of multimedia products. We supply our products to customers all over Jeddah, Riyadh, Saudi Arabia. As we have fostered a strong relationship with dealers, distributors and noteworthy manufacturers, customers enjoy buying unmatched quality products from our shop at a cut-rate price. Buy unsurpassed quality projector units in Jeddah, Riyadh, Saudi Arabia from top brands such as BenQ, InFocus, Lumens, Promethean, Panasonic, Rico, Casio, Acer, Konktel from our online portal. We are top providers of multimedia products in Saudi Arabia. We offer warranty and after sales, customer support for our products. We offer assistance to repair products promptly. We are the only suppliers to offer first-rate quality products at a reasonable price. Buy projector online Riyadh from our online shop and be assured that our products will be of great help for both office and home use. For maintaining good business relationships with reputed manufacturers, dealers and distributors, we are able to offer our top-grade quality products at a low cost to our customers. Purchase high-quality projectors from our portal Projector Square and you will not be disappointed.